Physical Physical I want to get PHYSICAL.. I think. I hope everyone now has that song in their head the same as had all weekend!! Suckers! On Saturday morning I was having a nice twitter conversation with some lovely ladies, which somehow turned from reading books to ‘Planking’ and how one very crazy little lady *ahemcoughyouLyndalcough* is quite partial to the odd ‘plank’. 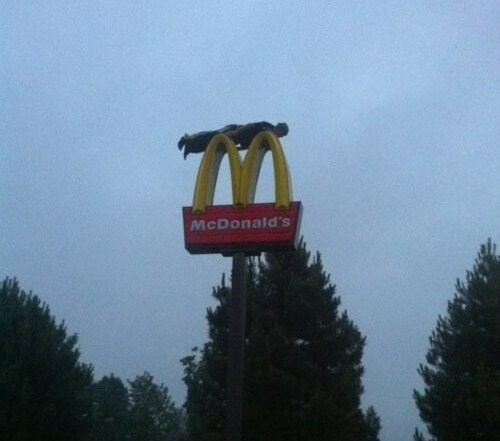 Now before you get ahead of yourself, this isn’t planking in the form of laying horizontal on top of a giant M for McDonalds sign or strewn across the front of a Mack Truck. This is the fitness plank we are on about, the one where the Mr Fitness Guy/Gal makes you perch on your toes and your elbows until you feel like you are about to die in about 60 second increments. Subsequently the next day, you continue this feeling and try to refrain from smiling, coughing, loud talking or any kind of activity that may put some stretch on your abs. Because it damn well HURTS! While we all agree here Lyndal is quite possibly ‘cray cray’ this brought me to the fact that this lil lady must be some sort of super fit, to enjoy to any extent doing a ‘plank’. This then brought me to my next thought which was, I want to be plank crazy TOO, I want to make people cringe at the thought I actually would love to plank, that I’m so into planking, you won’t recognise me if I’m NOT PLANKING.. ok ok, might have gone slightly overboard, but I think you get it. I want to be CRAY CRAY too. I’ve read people clocking in their running miles a lot lately too and I am jealous, but at the same time, I’m reading them while popping a Cheezel into my trap, so it’s a bit of a catch 22. To give up the Cheezel or to be a planking/running/fitness goddess, tough choice. But…I want to get fit ya’ll. So, although I won’t be going all gung ho about it, I am going to start building myself up, I’m going to dust off my sneakers that seemed to have magically stuffed themself to the far end of my closest (honest no idea how, they just needed a ‘nap’ I guess) and put on my fave Bonds jogging pants and sloppy joe hoodie and I’m set. The weather is warming up, which is going to help immensely, I’m not a fan at ALL of freezing my caboose off in the name of Le Arse Irresistible, so I didn’t and I won’t. But when that chill has blown back to the north pole, I will be hitting that asphalt like no mans business, whether it be taking a stroll with my man to and along the beach to watch the sunset or doing the evening jog past the football oval (because the bright lights make things less spooky), i’m gunna DO IT! I’m less of a gym kinda gal and more of a walk, jog run solo kinda gal, so that’s where I will begin. Follow me, keep me accountable but please don’t yell if I pause for a Cheezel every now and then. And PLANK on people PLANK ON. This entry was posted in IBOT and tagged fitness, planking by Meagan. Bookmark the permalink. LOL -what a great post. I do have to acknolwedge that I actually enjoy planking as well (Yeah, I know – who would think that !!!) – my levels have dropped right off the past month or two but I am working on building them back up again. I am also more a walk/job girl than a gym girl although I do like the PT sessions twice a week that I go to with K – mainly because he pushes me more than I would push myself. But I’ve been feeling the allure lately too, hearing the call. Probably because my hubby’s getting all buff and super fit and I’m like OH NO I’M ABOUT TO BE THE FAT WIFE. I think about exercise a lot, I think about running but can’t do that due to injury. I think about bike riding but during the day I can’t take my 3 kids and at night I can’t be arsed. So I think for me, exercise will sadly remain a thought! Sometimes its the best seat in the house Yvette!! I have just started running again after a six month break. I am very slow, but it’s time alone, I have great music on and by doing what I say I’m going to do I feel good about myself. Good luck. You CAN. Thats it isnt it Catherine – even starting slowly – and its time to clean the brain time alone and it so rewarding – I don’t know why I ever stopped really. I totally get you. I’m a walk, not a gym, kind of girl and I won’t drag myself out there in the dark or the cold. I’d rather be eating cheezels. High 5’s! ha ha.. I’m going to try my darnedest though! Oh god – so I better get into Planking and then I have an excuse to give it up after I have some lil minions! 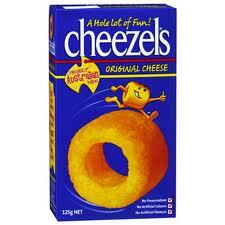 wooo.. cheers to Cheezels! You got me, the song is in my head and I can’t get it out!!!! I hate hate hate planking! I do not do any exercise that I don’t at least get a tiny little bit of satisfaction from. Great post. ha ha, its still in mine if thats any consolation! I thought it was super fun and easy a long while ago – untilt he next day !! !